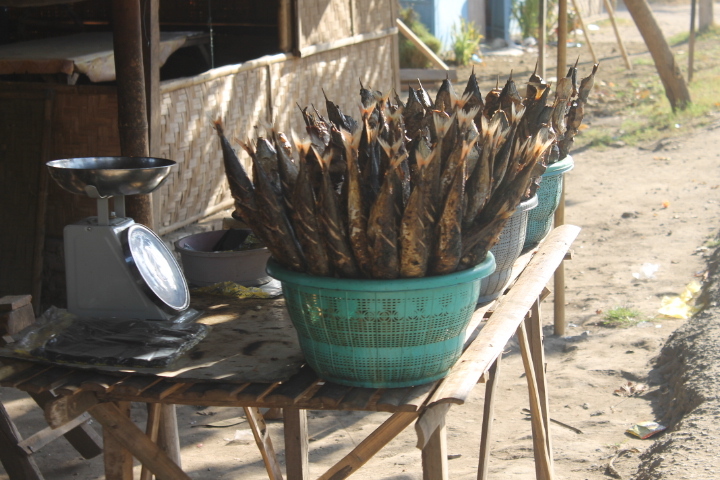 Once my few days in Senggigi were up, I headed up north to Gili Meno, a tiny island off the western coast of Lombok. There are actually three Gilis: Gili Air, Gili Meno, and Gili Trawangan. (Calling them the Gili Islands is technically a bit of a misnomer, since “Gili” means “island.”) Collectively, they’re famous for their amazingly white sand and crystal-clear blue water, but each also have a distinctly separate atmosphere. Air is the most traditional and least visited. Meno is the smallest, least populated, and arguably most beautiful. Trawangan is the party island, with tons of bars, parties, and clubs. 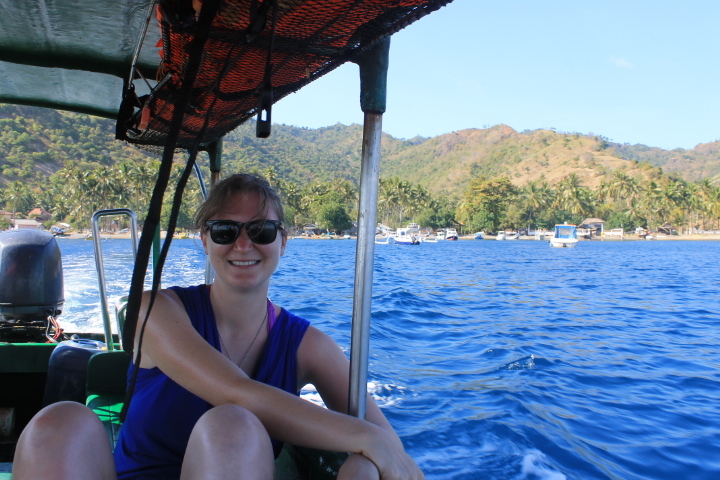 On the boat from Lombok to Gili Meno. It’s no secret that one of the things I love most about traveling is trying new foods. Give me some piping hot street food made with ingredients I can’t pronounce, and I’m a happy camper. However, until the last two years or so, I was pretty woefully inadequate at recreating those dishes when I returned home to my own kitchen. My culinary skills have developed by leaps and bounds since I moved to Japan, and during my trip to Indonesia, I decided to take a cooking class for some hands-on experience. 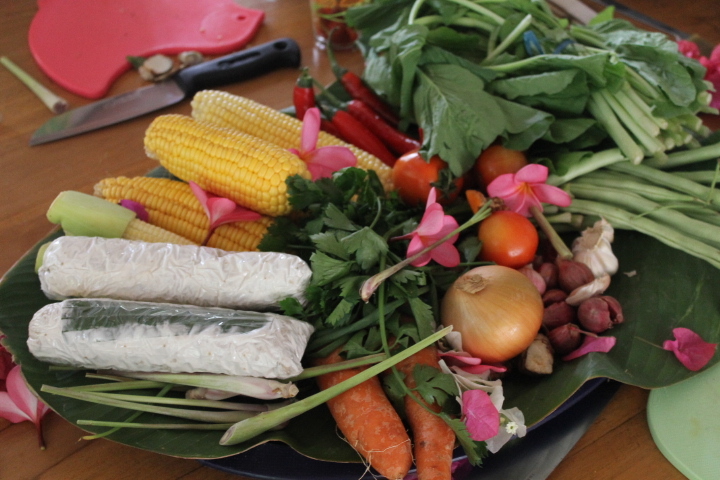 All of the fresh vegetables were either from my host’s garden or the morning market.